This amazing photo gift does not need much explanation. It’s chocolate. It’s chocolate with a photo. It’s chocolate with YOUR photo printed on it. WHAT? YES! 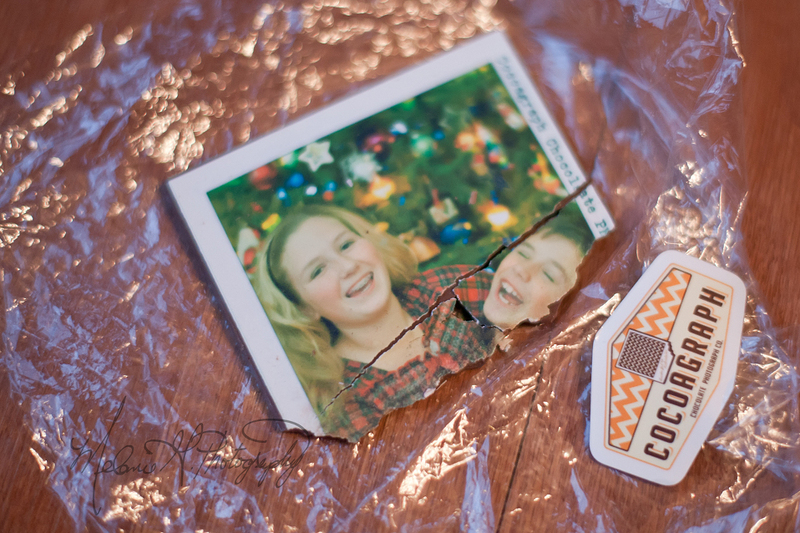 When I discovered Cocoagraph, I knew I had to get one…or twenty. 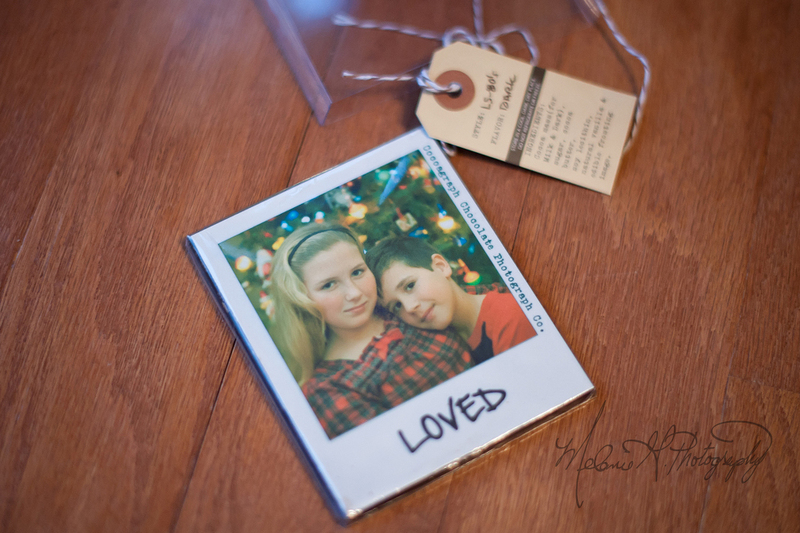 These were a big hit for my family this Christmas, but can you think of a cuter Valentine’s gift? Go now to their website while there is still time to order it before Valentine’s Day. They have different kinds of chocolate (including organic) and you can add nuts, berries, sea salt, and other yummy things to make your chocolate bar truly unique and customized to your liking. There are a few different sizes and styles, but I chose the “Life-Size” with the ’80s border that makes the chocolate bar look like a polaroid picture. With this one, you can add a message at the bottom to make it even more special. Want to know the best part? The chocolate is really good. WIN! The kids enjoyed eating their own faces! HA!